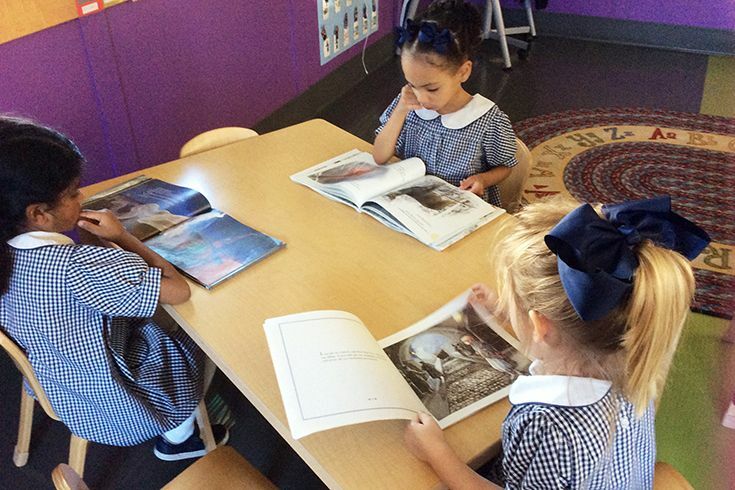 The literacy curriculum used in Pre-K includes Reading Street, Zoo Phonics and Handwriting Without Tears. Pre-K students learn letter recognition, letter sounds and begin to put letters together to make words. They learn to recognize and recall events in a story, story elements and retelling. 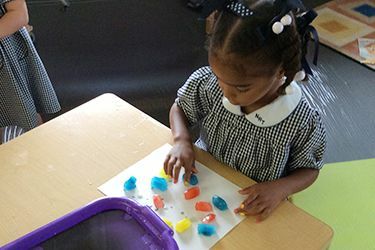 Students learn color, shape, and number recognition; making patterns; counting and one-to-one correspondence through hands-on activities. 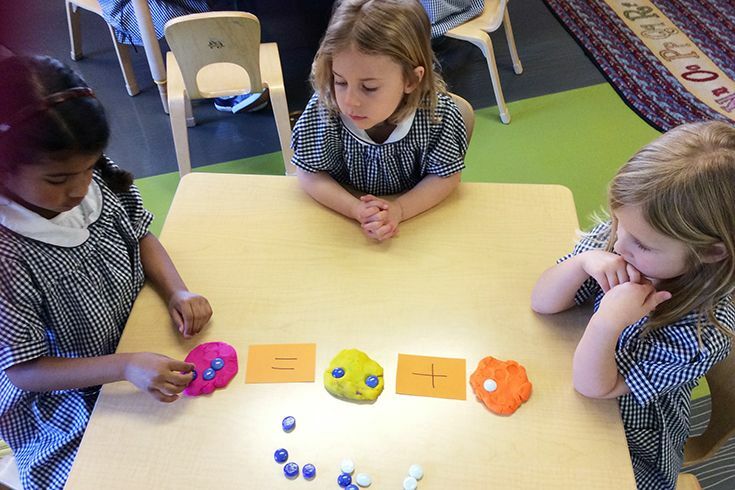 The Building Blocks curriculum is used alongside with math manipulatives. Students learn to make predictions, develop problem-solving skills, and conduct experiments through hands-on science activities. The girls learn to collaborate and work together during cooking center. 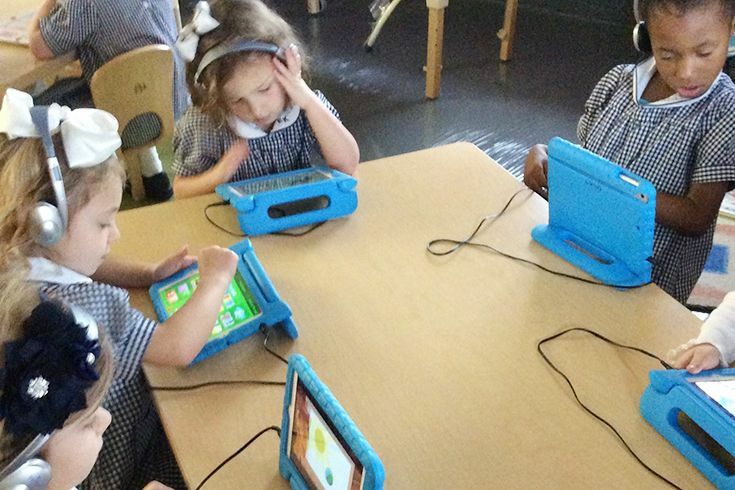 Smart boards, iPads, and the Smart table are used during classroom center time to enhance and reinforce the curriculum. The girls came to the conclusion of doing a Frozen project because they were interested in the movie Frozen. They talked about what they thought frozen meant and most girls talked about the characters in the movie. We started to discuss what the word frozen really meant and started doing research about frozen things and the cold. 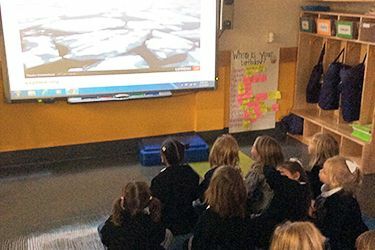 The girls took a virtual field trip to the icy climate of the Hudson Bay. They learned about sea leopards, polar bears, sea ice and icebergs. They checked out books from the library that had information about the cold and we researched any questions the girls had about frozen things and animals. Students did many science experiments including turning a liquid into a solid by freezing water and turning a solid into liquid by watching it melt and figuring out how to make it melt faster. The girls painted with ice cubes they made with food coloring and made snow. There were many math activities incorporated into the frozen theme including matching numerals to the amount of buttons on their snowmen. Students drew pictures of their favorite frozen fact and wrote about their illustrations using inventive spelling. 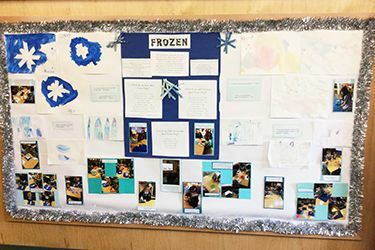 The girls applied what they learned about frozen things in their final presentation. 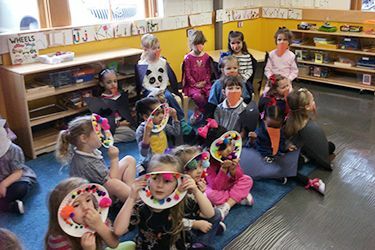 They made costumes including penguins, polar bears and Inuit people. They built an igloo and stated one fact they remembered about animals that live in the cold or frozen things.